Zu-USA – Technology-Driven, Student Recruitment Agency For Higher Education. We Are A Technology-Driven, Student Recruitment Agency For Higher Education. With more than three decades of experience in adult education marketing and research, we deliver highly motivated, qualified prospects to your online and on campus classrooms. Innovative tools, industry leading compliance, and strong, value-driven, content-rich media campaigns connect adult learners with purposeful education that changes lives. Our team recognizes the brands we serve and works hard to deliver a meaningful impact on a pay-per-performance basis for the media dollars we are given. We are the nation’s leading institutional research and recruitment partner for health systems and hospitals looking to educate their workforce. We connect employees with regionally accredited institutions offering the finest in online academic programs. With a shortage in healthcare professionals nationwide, employee retention and satisfaction is critical for hospitals demanding a more educated and trained staff. We meet that need by vetting the best colleges and universities and delivery high-converting prospects. Setting your brand apart from others, we deliver prospects from solid, content-driven web campaigns through a combination of paid search, organic traffic, email and mobile campaigns. Our proprietary blend of online resources coupled with your strict adherence to brand requirements produces eager and motivated prospects seeking academic and career-based programs. Whether it is for an online school or a local or regional institution with specific geographical limitations, we exceed client expectations with performance-based pricing solutions. At Zu, every campaign begins with a commitment to serve our clients with compliant, quality campaign strategies that deliver results. We are a pay-per-performance recruitment agency that impacts the lives of our clients and their student prospects. We light fires and get things done quickly and efficiently. On average, we get our new client accounts started in 24 hours or less upon receipt of a signed contract. Whether we are working on a specific telephone script, or setting up a specific drip marketing and nurture campaign, we build concepts around your unique brand and business initiatives. We don’t nickel and dime our clients. We work with you on fixed pricing for our services. This allows you to budget appropriately and ensure you are getting the best return on your dollar without hidden fees or ever-increasing commissions. Veteran marketing and research professionals in education recruitment oversee all aspects of our outreach campaigns, giving our clients the peace of mind knowing our commitment is to our education partners and the prospects that seek an education. Whether it is the Telephone Consumer Protection Act, the CAN-SPAM act or the most strident of US Department of Education rules and regulations, Zu maintains the highest standards in the education sector and regularly audits its processes and invests heavily in compliance and quality assurance. No two recruitment campaigns are alike. 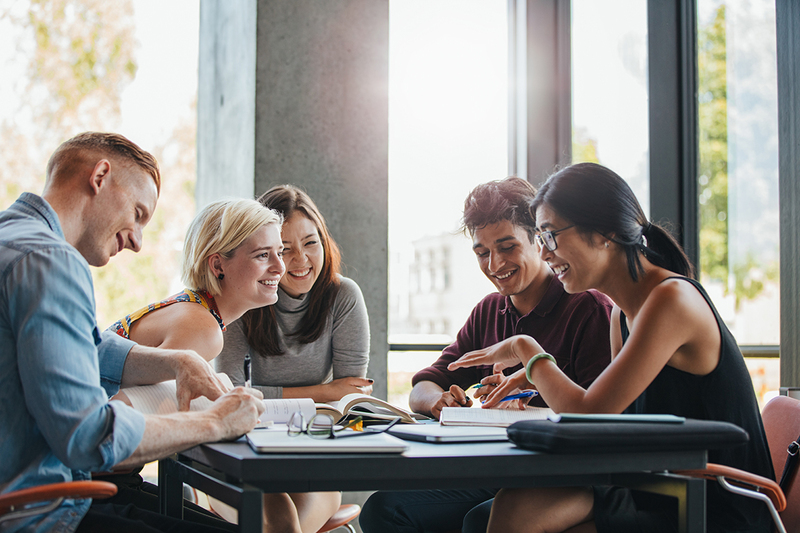 Whether it is a complex API or integration setup, or a specialty course needing an added boost in enrollment, Zu provides customized solutions to support all types of educational institutions. We believe every successful campaign begins with a creative strategy grounded in proven performance and execution. Our seasoned professionals understand your challenges in today’s aggressive recruitment environment. We fuel our campaigns with thoughtful, measured marketing that starts with a strategic focus and attention to your brand and evolves into a robust recruitment solution that delivers on ROI. Seasoned veterans in adult education marketing and direct response advertising serve on each client account to ensure you are getting the best talent and service for your institution. Our proprietary, cloud-based IT solutions “keep it simple” but innovative. Our industry-leading, customizable lead management, CRM and Nurturing platforms are the tools that drive our successful campaigns and ensure worry-free integration. Our clients are our best references when it comes to service. We deliver outstanding account management support to our education clients and go above and beyond to support your admissions and marketing teams.